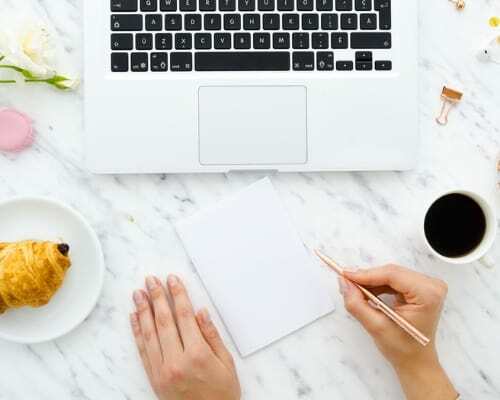 Whether you are a small business owner looking to bring traffic to your website or just an individual wanting some attention for your blog, knowing the tricks of search engine optimization (SEO) can go a long way in improving your visitor numbers. For those not up to speed on SEO, it is the means by which Google and other search engines bring traffic back to your site. When an Internet visitor types a word or phrase in their search bar, their search engine provides a number of relevant results that match the user’s query. So how do you go about ending up in the upper half of those searches time and time again, bringing traffic back to your site? In order to get a better ranking via SEO, there are a number of factors that you will need to consider, including your content and inbound links. Starting with the content, always remember that your site's content is crucial. Fresh and relevant written material helps you attain a better organic listing on search engine results pages, along with bringing your site enhanced credibility. Your site's content needs to be updated on a regular basis and tied to what you and your site are all about in the first place. If you scroll other blogs during the day, how many times do you come across sites that have content several weeks old? If the answer is even a few, you can probably figure that those sites are not getting a ton of hits. Search engines look not only for relevancy but websites that are regularly updated and provide visitors with current information. When adding keywords, know that the biggest gaffe to avoid is stuffing your content with them. Not only does such a move make the article difficult to read whereby the flow of the content is disrupted, but search engines do not favor such a move. Keywords should also be used in your headline and any subheads of each and every content piece you produce. 3. As You Go in Search of Inbound Links, Be Sure to Use Only Those From Credible Sites. If you are using links that lead to low-ranking sites with minimal credibility, it can very easily end up hurting your overall search engine rankings. In cases where you are linking to different landing pages on your site, be sure to include only those that are relevant to your content so it does not appear that you are simply trying to sell something. Another important factor to keep in mind is your site's design. Whether it is the most simple of blogs or one that you have put a lot of time and energy into, the design needs to be easy for your visitors and the web crawlers to navigate. If you are sending them through a maze, where they feel like they are going all over the place trying to reach what you and your company (if applicable) are all about, expect their visit to be short and your bounce rate to be high. For those that are using their blog as a means to drum up business for their respective product and/or services, make sure that you have a call to action in place. This simply means making it easy for visitors to be able to contact you for more information, to make purchases, to ask questions, and the like. 5. Images Play a Huge Role in Bringing People to Your Site. Let's face it, no one wants to read paragraph after paragraph of all text and no visuals. It is important when blogging to use imagery that ties into what you are writing about. If you can use a few smaller pictures dispersed throughout the content instead of one big image, all the better in order to break up the copy. Finally, make sure you label your pictures when uploading them with relevant keywords instead of just calling them picture #1, picture #2, and so on. 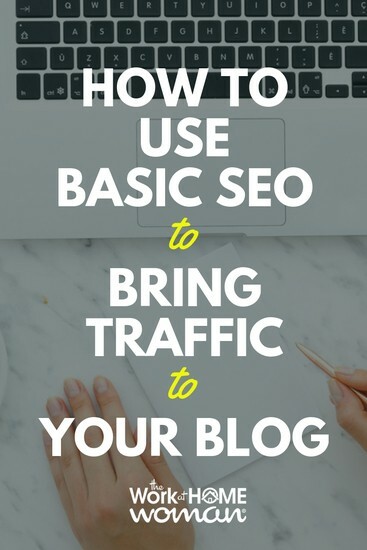 While these are some of the basics to striking it rich in terms of SEO on your blog, there are of course other factors that go into driving traffic back to you. Always remember that your blog needs to be constantly evolving; you should never be completely satisfied from an SEO perspective. With 23 years of experience as a writer, Dave Thomas covers a wide array of topics from how to purchase the best office cubicles to promoting your business through email marketing. Dave, thank you for sharing these wonderful tips. I have not been getting any traffic to my site. I had one person leave a comment and honestly that inspired me to keep my site going because I felt like giving up. Now that I have some tips about the SEO I am going to give them a shot. Thank you. Dave, this was great. Using SEO is such an important part to the blogging system. Your basic tips help sift through the confusion and get straight to the nuts and bolts. Thank you for helping this novice. Glad you enjoyed Dave’s tips, Amiee! Great Post! SEO really helps to increase drive traffic of the website.Thanks! Glad you enjoyed the post Terra! Hi Sian, Glad you enjoyed Dave’s post!